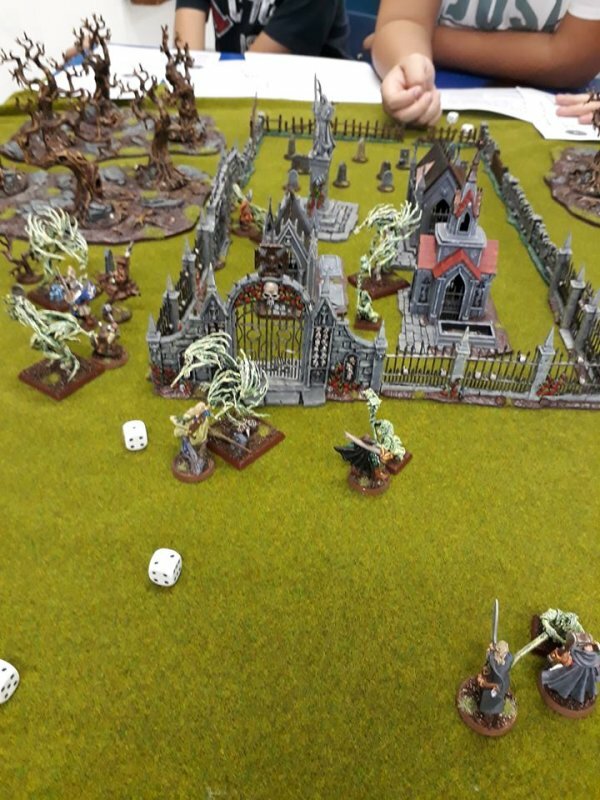 Lately I have been running a Warhammer Quest-type game using the Age of Sigmar rules. 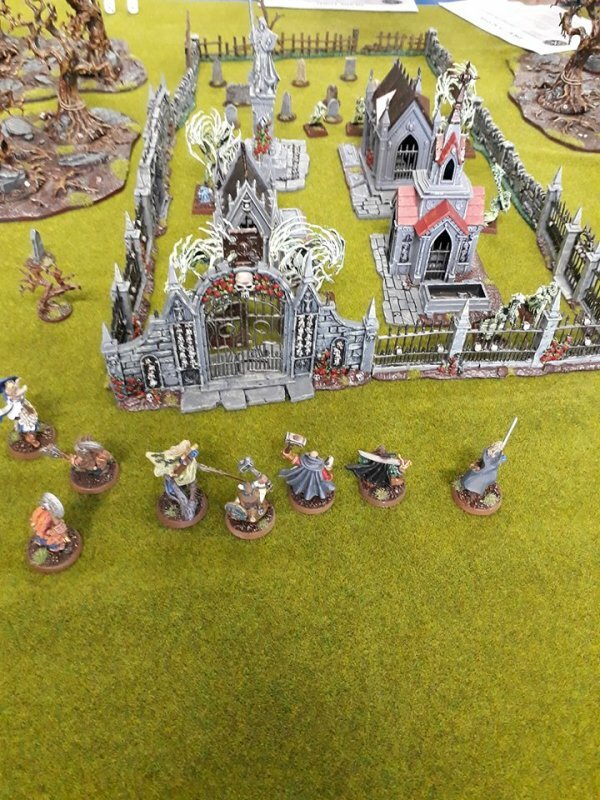 The advantages of the system is that I can use all of the existing models in my collection--including my Vampire Counts army--and that I can teach the rules to new players very quickly. 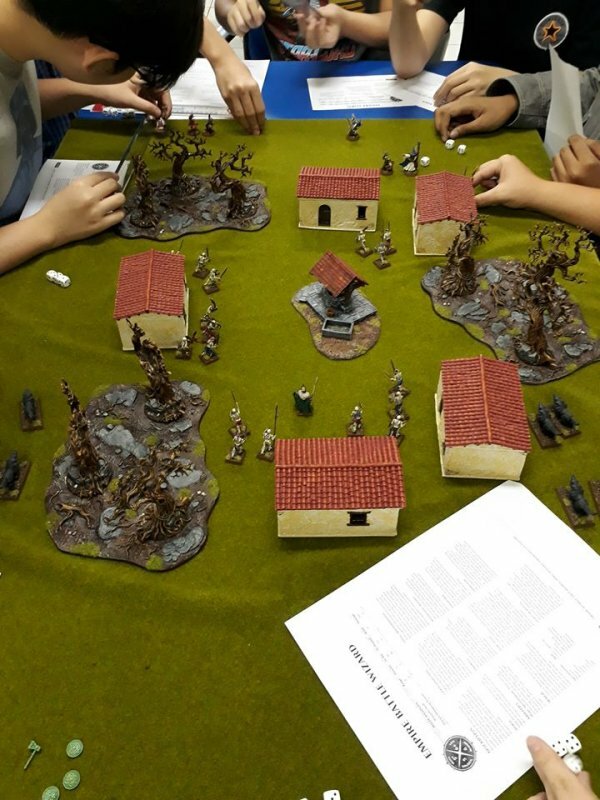 Here is a shot of the first game. The heroes searched a village for a wise woman who could help them on their quest. Here is the setup at the beginning of the third game. 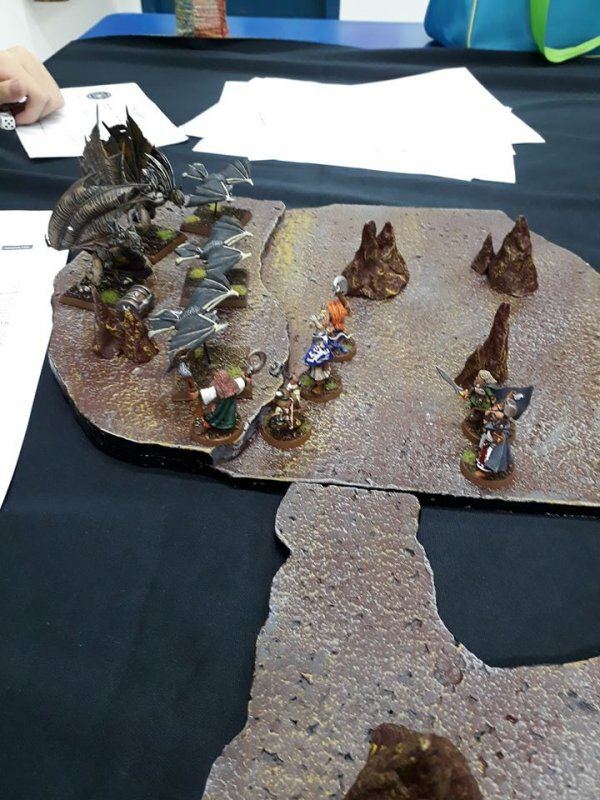 The party visited a graveyard looking for a magic shield. Edited by Sharkbelly, 02 May 2018 - 11:33 AM. Amazing! but how did you adjust the rules? Standard rules are designed to play with units after all, while Quest is after single models. How did you take that into account? I would also like to know how you adjusted the rules. If there’s a place to find them or download them would be great. I'm essentially using the core rules, without Battleshock. Edited by Sharkbelly, 03 May 2018 - 07:52 AM. Edited by Killer Angel, 03 May 2018 - 11:17 AM. I just read over it, and I think it’s really bad news. It basically states that they are removing the dark elves from Age of Sigmar, and as much as I don’t care about Dark Elves, I fear what this will bring in the future. 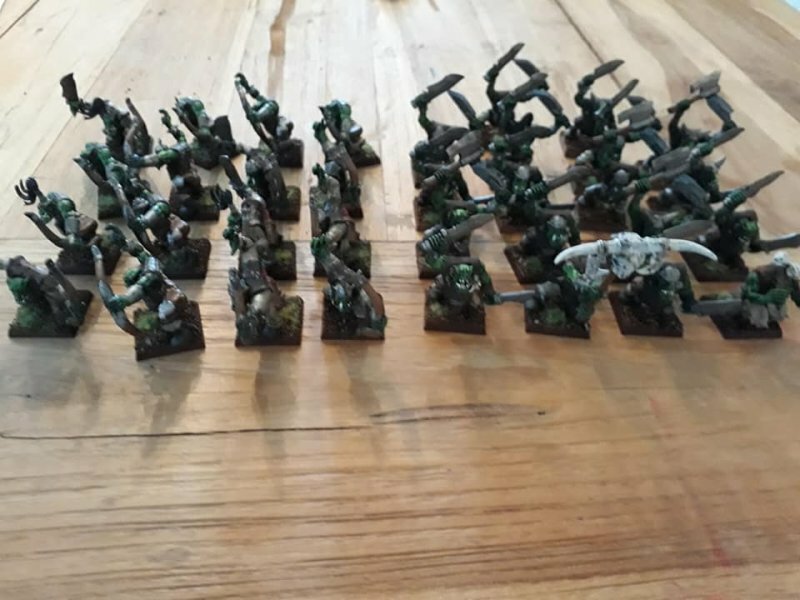 Eventually all the old world armies will be removed from matched play of AoS. And with Warhammer Legends being released I think this marks the beginning of that. Well, it is and it isn't. For matched play, I think it means many models will not be getting points updates any more. But for open and narrative play, it means their rules will be set. What it means is we have to simply interpret the points costs as the game progresses. What it also means is the old models will soon be unable to ally with any of the current armies. 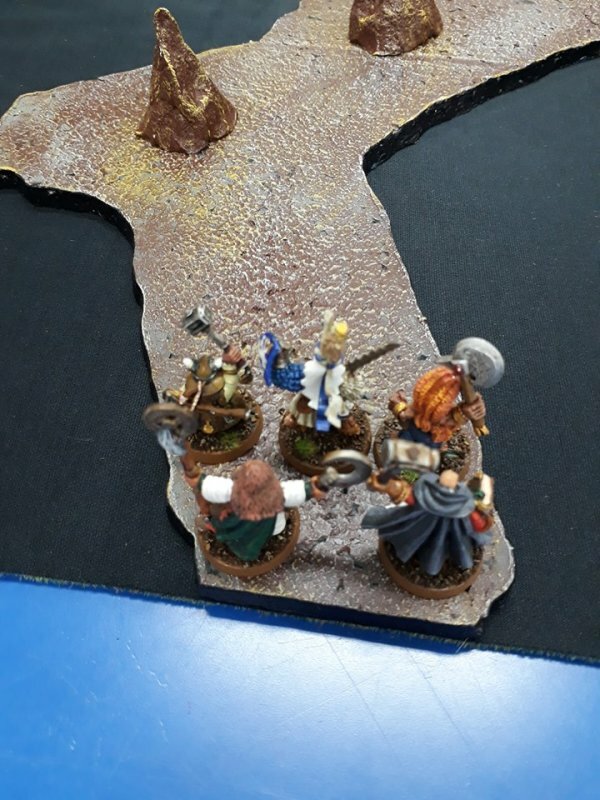 My group won't care so much, but they'll never see a GW tourney. Thankfully most units have similar costs so it shouldn't be too difficult to figure out. Agreed. Competitive play is better suited to the current AoS armies, while these will be great for narrative or open play. 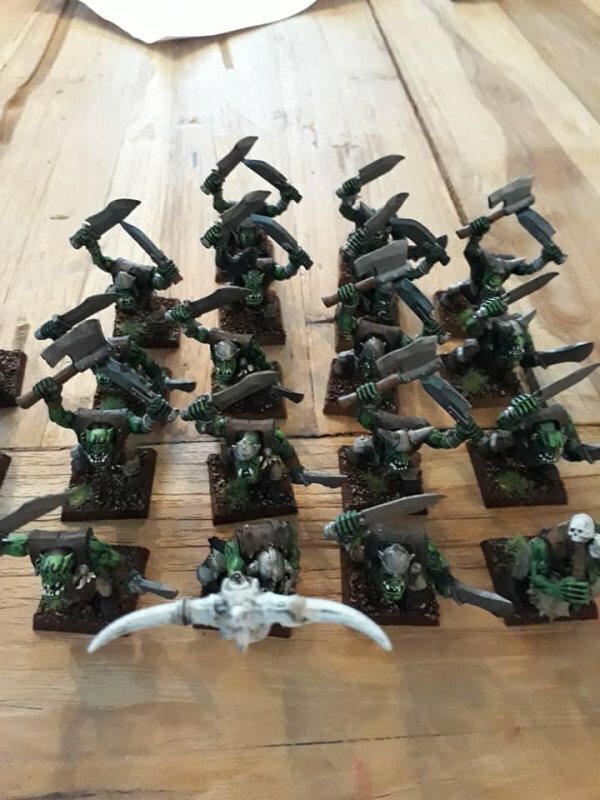 Using Skirmish rules helps with how to adjust the AoS units to models. I actually have been planning something similar. I got the Humble Bundle of all the Old World Fantasy rpg books a little while back. Figured that'd be a treasure trove of stories to modify in a quest based Skirmish game. 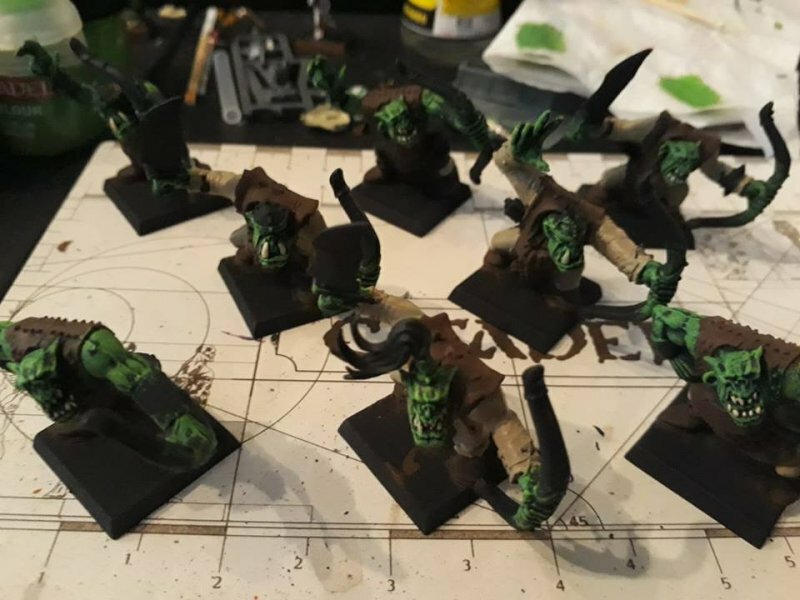 Okay, I've finally gotten around to some Greenskins that have been in a box for a while. I think these guys will make a nice complement to my ogres, and great adversaries for the heroes. Good old arrer boyz nice and simple! Good work! And I see an ogre skull icon there! Or is it from a black orcs box? Any chance you can post your adaptations to this forum? I'm having issues finding them on the link posted above.